Kolkata/Mumbai: Seven years after his father took over the reins of the MP Birla Group in 2004, Harsh Vardhan Lodha, the group’s current chairman, came to know for the first time on Tuesday the market value of one of the key assets bequeathed by the late Priyamvada Birla. Pilani is the principal holding company of the Birla family. It has investments worth some ₹ 650 crore at book value, or initial cost, mostly in shares of B.K. Birla and A.V. Birla Group companies such as Century Textiles and Industries Ltd, Hindalco Industries Ltd and Grasim Industries Ltd.
At Tuesday’s closing price of ₹ 2,295 per share, Pilani’s market capitalization was ₹ 1,815 crore. Priyamvada Birla, chairperson of the M.P. Birla Group till she died in 2004, bequeathed through a will her estate to Rajendra Singh Lodha, her adviser, chartered accountant and close associate for years. The Birla family challenged the validity and authenticity of the will, and has since been fighting a legal battle with the Lodhas. At stake are the M.P. Birla Group’s operating companies such as cement maker Birla Corp. Ltd, Universal Cables Ltd, Vindhya Telelinks Ltd and the 25% stake in Pilani. Rajendra Singh Lodha died at B.K. Birla’s home in London in October 2008, following which Harsh Vardhan Lodha took over as the M.P. Birla Group’s chairman, in line with instructions in Priyamvada Birla’s disputed will. Pilani was the yoke that held together the members of the extended Birla family, which separated their business interests starting in the mid-1980s. Over the years, factions of the Birla family sold their stakes in Pilani to B.K. Birla, chairman of the eponymous group. Soon after Rajendra Singh Lodha took control of the M.P. Birla Group in 2004, B.K. Birla concluded a deal to buy out C.K. Birla’s 25% stake in Pilani. C.K. Birla is the chairman of the C.K. Birla Group, which controls firms such as Hindustan Motors Ltd and Orient Paper and Industries Ltd.
“The Lodha-controlled M.P. Birla Group’s stake in Pilani was an irritant for him (B.K. 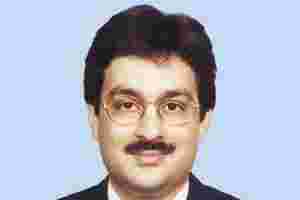 Birla)," said a close aide, who did not want to be named. “He decided to close the deal quickly." B.K. Birla had said in an interview with a television channel some months before the deal was concluded that the extended Birla family had reached a decision that either Kumar Mangalam Birla, his grandson and chairman of the A.V. Birla Group, or C.K. Birla must secure the controlling interest in Pilani. B.K. Birla currently owns 57.56% of Pilani’s shares, according to the firm’s latest annual report. Combined with the holding of close “family friends", his stake is at least 60%, according to his aide cited above. Public holding in the firm is estimated at a little over 10%. B.K. Birla wasn’t immediately available for comments on resumption of trading in Pilani’s shares. Pilani’s officials, too, refused to comment. Questions emailed to them on Monday remained unanswered till the time of going to press. Pilani’s shares were last traded on the Delhi Stock Exchange (DSE). NSE pegged the stock’s previous close at ₹ 780, the last recorded price on DSE. There were no sellers in early trade on Tuesday, according to Rajesh Agarwal, head of research at broking firm Eastern Financiers Ltd. “Only a little over 50% of the company’s 7.9 million shares were held in dematerialized form at the end of March," he said. “So liquidity was always a concern." Eventually, trading took place in some 10,903 shares at a volume weighted average price of ₹ 2,329.82 apiece. The stock rose to a high of ₹ 2,535 in a buoyant market that saw the S&P CNX Nifty index gain 1.83% to close at 5,191.6 points. “Pilani’s market valuation is only a figure for Harsh," said a close associate of Lodha. “The Birlas aren’t making an offer to buy him out in Pilani, and he cannot cash out in the market. So it means little or nothing to him." Harsh Vardhan Lodha refused to comment. “He (Lodha) has, however, been receiving offers for sale from minority shareholders, but he has no intention of investing in Pilani’s shares," said his associate. “It is only such shareholders who may benefit immediately." The current market price of Pilani’s shares is comparable with what it has been fetching on the street lately. According to two Mumbai-based traders in illiquid shares, Narottam Dharawat and Rajan Shah, Pilani’s shares typically rose to ₹ 2,300-2,400 in off-market deals fuelled by speculation of trading restarting on NSE or the Bombay Stock Exchange. “When the speculation died down, the stock would slip to ₹ 1,800 or thereabouts," said Dharawat. In the past week, interest spurted and Pilani’s shares were changing hands at around ₹ 2,400, according to Shah, who owns through his firm 3A Capital Services Ltd some 35,000 shares of the company.